Georgia is home to one of the earliest gold rushes of the country. Long before the famous California gold rush of 1849 thousand of white miners swarmed the state of Georgia following the discovery of gold in 1828 near Dahlonega. 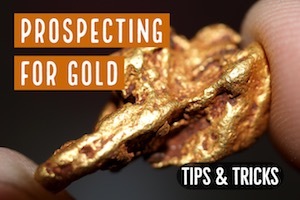 The spread of the news of the discovery caused one of the earliest major gold rushes in the country and by mid-1829 the state was home to tens of thousands of miners who hoped to strike it big from the gold. There were hundreds of mines in Georgia. The miners came along with businessmen and other people who hoped to gain from the miners. This led to the establishment of a number of booming mining towns and settlements all across the state. When gold was discovered in California in 1849 most of the miners moved west in search of greener pastures leaving behind a number of boom towns. Some of them still stand today, while others have mostly vanished. The town of Allatoona was established in 1829 by miners along the gold-rich Allatoona Creek in the southern part of Bartow County. The town grew steadily and reached its height in the 1840s when gold production at the creek was at its peak. But shortly thereafter the town began to decline as miners moved to California in search of richer claims. At its peak, the town has a large population of several hundred people, three productive grist mills, two churches a post office, several plantations and a school. The town was also home the Allatoona Railroad pass on the Western and Atlantic Railroad which was completed in 1845. Despite the emigration of many miners in the early 1850s out of the town to California, the town survived until 1940s when Lake Allatoona was created flooding most of the town land. Today most of the town site is underwater on the lake with the remaining part conserved by the Ret Top Mountain State Park. There are a number of old structures still standing at the town site. These include the Lake Allatoona Inn which was constructed in 1893. This is another historic gold rush town in Georgia. It is located on the eastern shore of Allatoona Lake in Cherokee County. The town was established in the 1820s following the arrival of gold miners in the area who forced the native Cherokee out of the home. The town was named after Fort Hinar Sixes which where the Cherokees went on the Trail of Tears. The Sixes Mine was established in 1819 and was one of the oldest gold mines in Georgia. The town then grew around the mine following the arrival of more prospectors in the area in the 1820s. At its peak in the 1830s and 40s, the town had a gristmill, several general stores, a church and a school house. It began to decline in the 1850s as the miners moved on to richer ground. Although the Marietta and North Georgia Railroad reached to town in 1878 the town never recovered its lost glory. Today only the mill remains as the sign of the existence of the town. Dahlonega is the current county seat of Lumpkin County in Georgia. Despite its modern appearance, the city of Dahlonega is one of the most historic towns in Georgia. Dahlonega was in 1828 the home to one of the earliest major gold rush witnessed in the United States. This gold rush led to the growth of a boomtown that is now the city of Dahlonega. Following its established the town was named Talonega in 1833 before the name was changed to Dahlonega (a Cherokee word for gold) by the Georgia General Assembly in 1837. 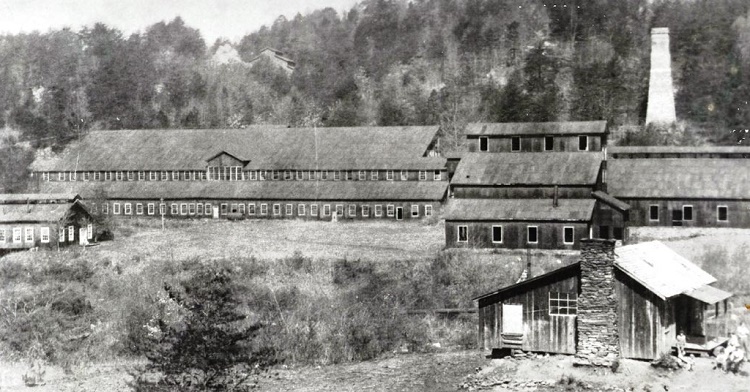 Following the rich gold strike in the area, the United States Mint established the Dahlonega Mint in 1838 and operated it until 1861 when it was closed down in favor of the larger mint in San Francisco. 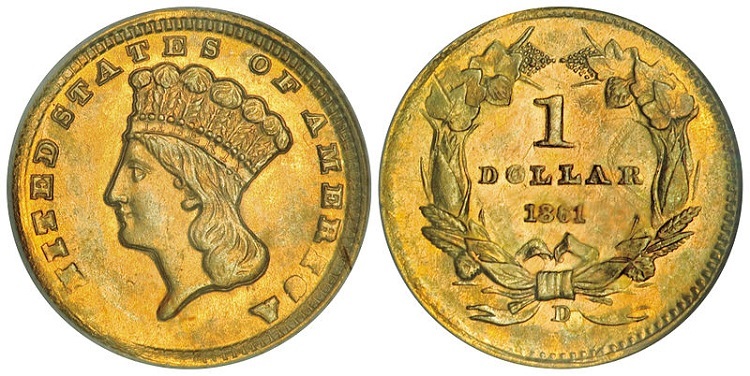 The Dahlonega Mint produced gold coins mainly in $1, $2.5, $3 and $5 denominations. The Building for the Mint later burned down in 1878 and in its place, the Price Memorial Hall was built by the North Georgia College. 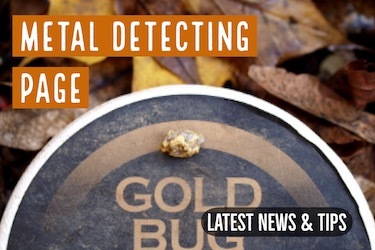 The gold coins mined by the Dahlonega Mint are highly prized by collectors. Today, although Dahlonega has outlived the gold rush days, there is still a lot of interesting mining history here. The Dahlonega Museum is the place to visit if you want to learn more about gold mining in the town. Auraria is another of the important historical gold mining towns in Georgia. The town was established in 1829 as the town of Dean following the Dahlonega gold rush which brought thousands of miners to Lumpkin County. The town was renamed Nuckollsville in 1832 after one of its most successful investor Nathaniel Nuckolls. By this time the population had reached 10,000 people. The town gained national recognition following the establishment of the Calhoun Mine by the then vice president John C. Calhoun. Soon the resident voted to rename the town Auraria. But the town soon began to decline as many of the business moved to Dahlonega which had rich gold miners and the Dahlonega Mint. Today only a number of the original building still stands. These include the red house that was once a bank, a general store and a hotel building. These are just a small sample of the many, many towns that sprang up during the height of the Georgia Gold Rush. 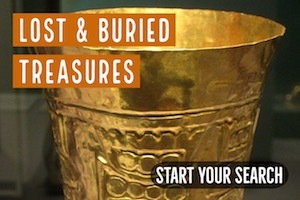 Deep research will show that there were dozens of small towns that came about after the discovery of gold. And just as important, there were countless small mining camps that never made the history books. 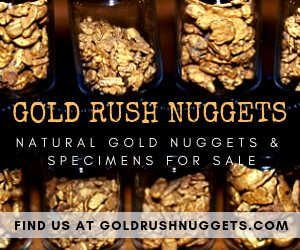 Hunting along the gold-bearing creeks of Georgia can often result in gold nuggets. 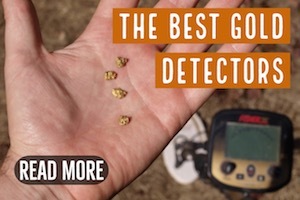 There were some big gold nuggets found in Georgia, and some of them were missed by the old-timers. Of course, panning and sluicing for gold is also an option. Metal detecting in old mining camps can also result in some interesting relics. Square nails are abundant in placer mining camps because they were used to nail together sluice boxes and other equipment. You might also find pick heads, boot tacks, and other cool old relics. If you focus your detecting efforts on the old town sites themselves, then you have a good chance of finding not only relics, but also old coins. 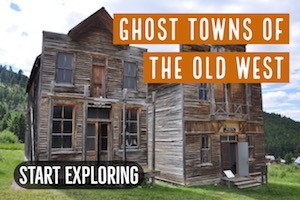 These towns have such a rich history, and there were so many people there hoping to get rich, there is certainly some interesting things to find.